By Mustaza Mustafa in Social Media. Updated on March 26, 2019 . 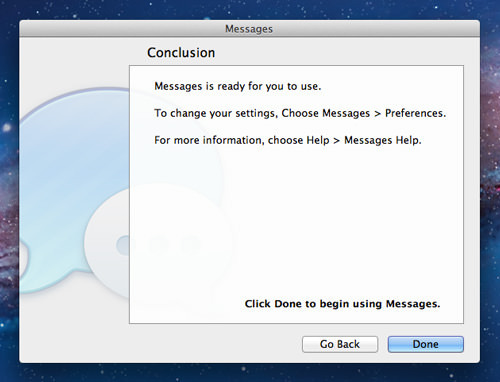 Messages is one of the features is offered in the recently announced OS X Mountain Lion, it allows you to integrate Facebook Chat so you can chat with your Facebook friends without using web browsers. But you might need to wait a while for Mountain Lion. Still, there is no reason why you cannot enjoy the fun Messages has to offer before the release. You may wonder how to set up Facebook Chat on your Mac, which is quite a good idea so you don’t have to always log in to Facebook every time you want to chat with your friends. There is no installer available or provided by Facebook that will allow you to install only its chat on your computer. That’s where Messages come into play. 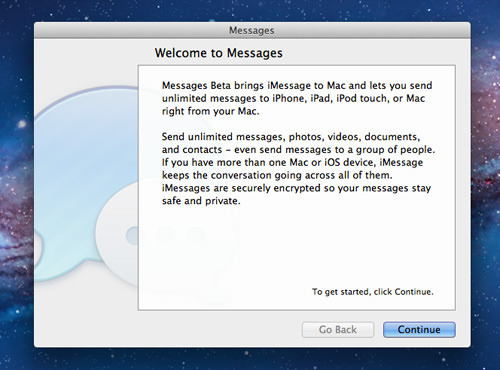 Messages Beta is a cool messaging client made for Mountain Lion, which will allow you to send messages accross many Apple products, for free. It also allows you to add Facebook Chat so you can directly chat with your Facebook friends. 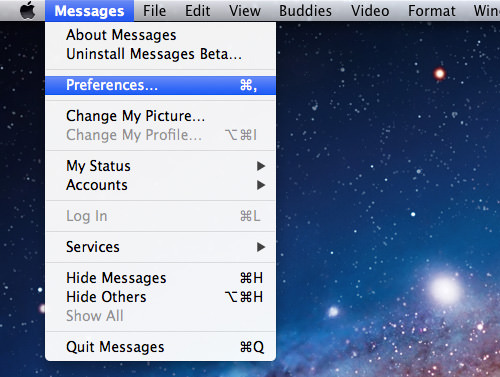 Before you can set up Facebook Chat on your Mac, head over to Messages Beta page to download and then install. When installation is done, you will see the Messages icon on your Mac’s Dock. Now you already have Messages Beta installed on your Computer. 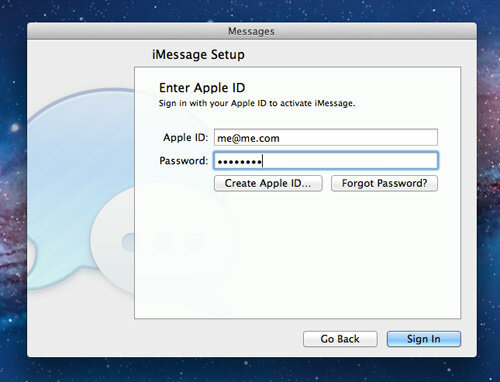 Since this is your first time installing, you will be prompted to register with Messages Beta. Click ‘Continue’. Now to complete the setup process, fill up your Apple ID and password, then click on the ‘Sign In’ button. That’s it, click ‘Done’ and your Messages Beta is now ready for use. While Messages is still open, go to the main menu then ‘Preferences’. Once completed, click ‘Done’ and you are now ready to chat with your Facebook friends. 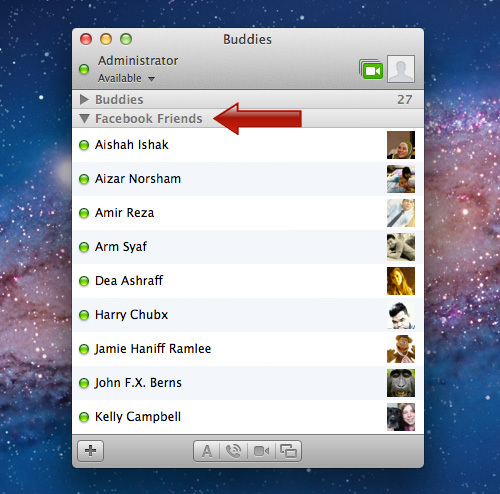 Open your Messanger Beta chat window and you will see your online friends on the list, and ready to chat with you. With Messages Beta and Facebook Chat integration, you can now chat with your Facebook friends without even logging in to your Facebook account. 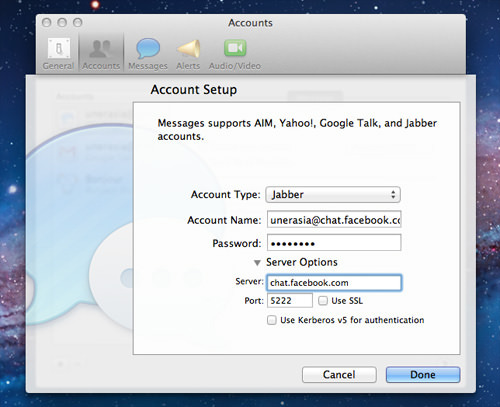 You can also add Google Talk, Yahoo! 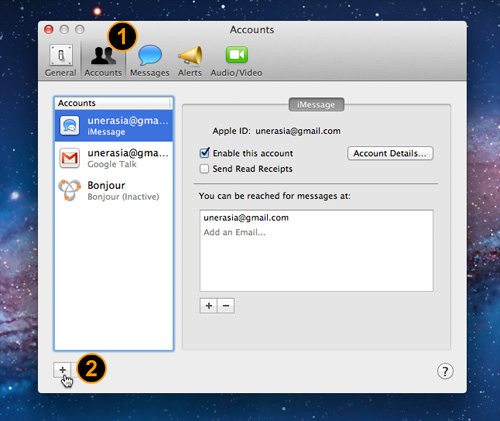 and AIM chat, and handle everything using one simple messaging client from your Mac.